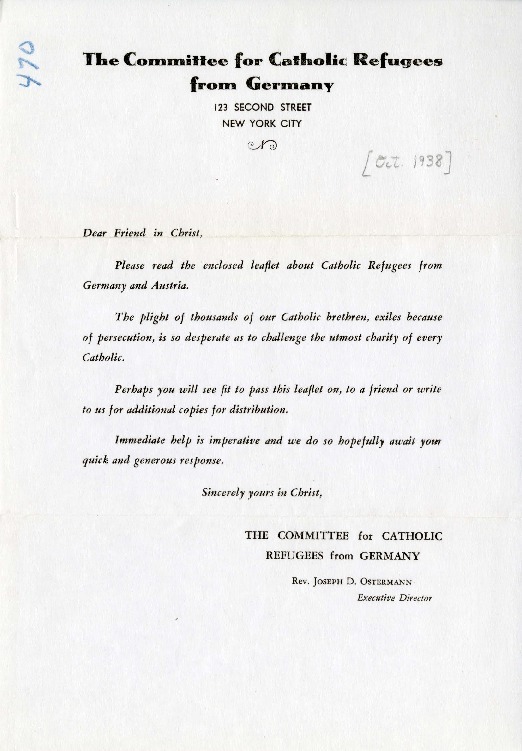 Initially, Catholic refugees from Germany were entrusted to the care of pre-existing Catholic organizations for German immigrants, such as Father Joseph Ostermann’s Leo House in New York City. 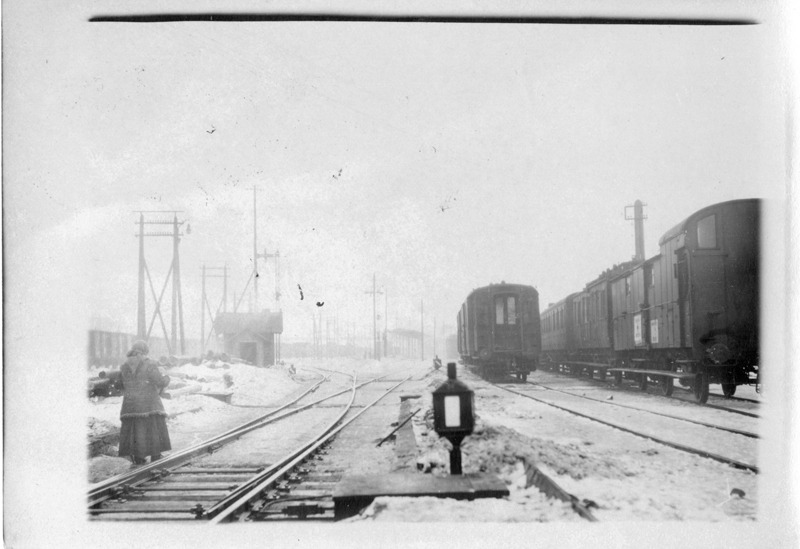 Leo House, however, was equipped to deal with the small trickle of peacetime German immigrants, who were generally one of the more well-off immigrant groups, but not with the desperate victims of a new and fiercely anti-Catholic regime. As the flood of refugees quickened, the US Catholic bishops saw that new organizations were needed to properly aid them. They formed the Bishops’ Committee for German Catholic Refugees, putting Father Ostermann in charge because of his previous experience with German immigrants. In this leaflet, intended for the lay Catholic reader, Fr. Ostermann seeks to make Catholics aware of their fellow-believers’ plight and solicits donations for their aid. To which anti-religious persecution from history does Ostermann compare the Nazi persecutions? What are the three classes of German Catholics who do not qualify as Aryan?